Lynn made the adjustment in dining hours for a pretty simple and obvious reason: administrators worried that students weren’t eating when they needed to. 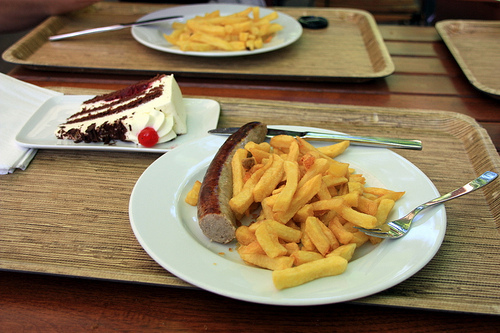 Athletes, working students and international students, many of whom tend to eat later, would regularly miss meals when the kitchen was only open for a few three-hour periods throughout the day. 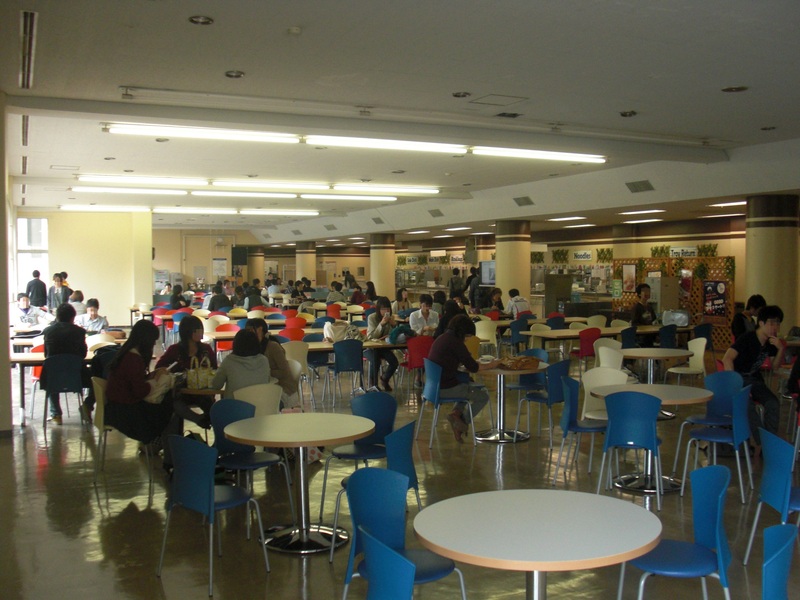 Sure enough, with all-day access, students started coming in to eat later, sometimes using the cafeteria to study or socialize for hours at a time. But officials hadn’t exactly planned on what happened next: Instead of scheduling classes around when students can and can’t eat, they thought, why not get flexible? So a two-hour 5 p.m. class that would have been unthinkable before is suddenly an option. And a popular one, at that. As the college experiments with course offerings throughout the day, it has quickly become clear that students much prefer that evening option to the early morning one. This seems like a good idea to me and one which recognises that students may have many different preferences about when they study and eat. I suspect that more universities will offer this kind of provision, at least at exam time. However, rescheduling classes to accommodate the preferences of some for evening teaching rather than morning may not suit everyone and I suspect that not all academic staff would be wildly enthusiastic about such timetabling. Controversy over the decision to outsource flared on the College Station campus last spring, but then quieted after Compass Group, a North Carolina-based company, hired almost all of the university’s 1,600-some dining, maintenance, custodial, and landscaping workers. It began providing those services in the university’s stead in August. Questions about the move persist, however, as the deal reverberates beyond the Brazos Valley. The Texas A&M system is inviting its other universities and even colleges elsewhere to take up the framework of the Compass Group contract. As college administrators continue to face fiscal pressures, outsourcing becomes more attractive, even when it means cutting jobs. The College Station campus has lost 14 percent of its state appropriations in the past two years, and while it managed to stave off across-the-board tuition increases in that period, it saw its student-to-faculty ratio increase from 19:1 to 21:1. The move to outsource “was all about, in tough economic times, finding the revenues that you can pour into the classroom and the research laboratory,” says John Sharp, the system’s chancellor, who drove the effort. Texas A&M officials were already considering outsourcing the campus dining services when Mr. Sharp announced in February, after just six months on the job, that proposals were being accepted to take over not only the university’s dining operations but other services as well. That announcement was met with resistance from faculty, staff, and students, many of whom expressed concern for the hundreds of university workers who would be affected. Others saw the decision as having come “from above,” in a move that “overrode the autonomy of the university to make its decisions,” says John N. Stallone, a professor of veterinary medicine and speaker of the Faculty Senate, who remains unconvinced of outsourcing’s benefits. Although there was clearly some opposition it has not stopped developments as since then, the University has also outsourced landscaping, building maintenance and “custodial services” jobs across its 16 campuses. Leaving aside the question of why a university needs “custodial services” this is another major step which will result in savings of, it is claimed, $92m over 12 years. I can’t find any details on how well these services have been operating since the outsourcing move but it in a separate development it has recently been announced that the President of Texas A&M is to stand down after a relatively brief tenure.